All Moody Band students are encouraged to participate in this year's all-county band, March 8th and 9th! Please note: Students may play in the all-county band and still have plenty of time to go home, change, and report to the Moody band room for the Preservation Hall Jazz Band field trip by 5:00 pm on March 9th! Due date for all-county registration HAS BEEN CHANGED to next Thursday, Feb 28. This deadline will not be extended. Registration forms are available in the band room from Dr. Sargent. 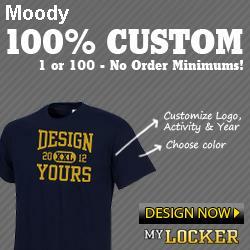 Make $20 checks payable to the Moody Band Boosters and submit with a registration form. The fee includes a lunch on the Friday of the festival, a brunch before the Saturday concert, and a festival t-shirt. Chair placement auditions will be held at Springville High School, Tuesday March 5th, from 4:00 to 6:00 pm. Students will need to sign in at the main lobby and warm up in the lunchroom. From there they will be directed to the tryout room for their instrument. Mr. Curren will email the results to directors on Wednesday and Dr. Sargent will post to the Moody band website by Thursday morning. Rehearsal will be on Friday, March 8th from 8:00-5:00 (High School band will meet in the Springville High School band room and the middle school band will meet in the Springville Middle School band room) . Pizza Hut Pizza will be served for lunch on Friday (included in $20.00 fee). Saturday, March 9th dress rehearsal from 8:00-11:30 with a 12:00 concert. A light lunch will be served (included in fee) so no one will have to leave the school to find lunch. Schedules may be changed slightly at the clinicians' discretion but this is a start. Concert will be free and open to the public. Transportation for the festival is the responsibility of parents and guardians of individual participating students. And remember: Call time for the Moody Band's Preservation Hall Jazz Band concert field trip is 4:45 at the Moody band room on Saturday, March 9th. Registration forms are still available in the band room. Deadline: February 22nd!